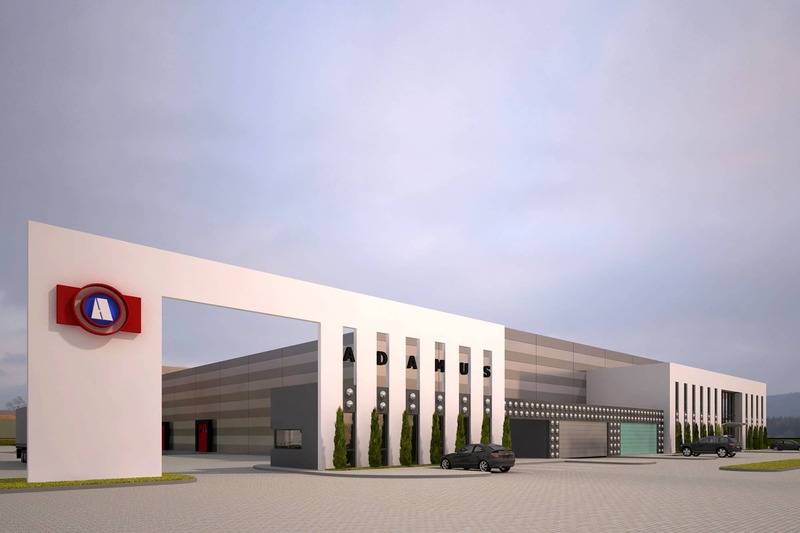 The production building was designed for the Adamus Production Enterprise in the Wilkowice Municipality. 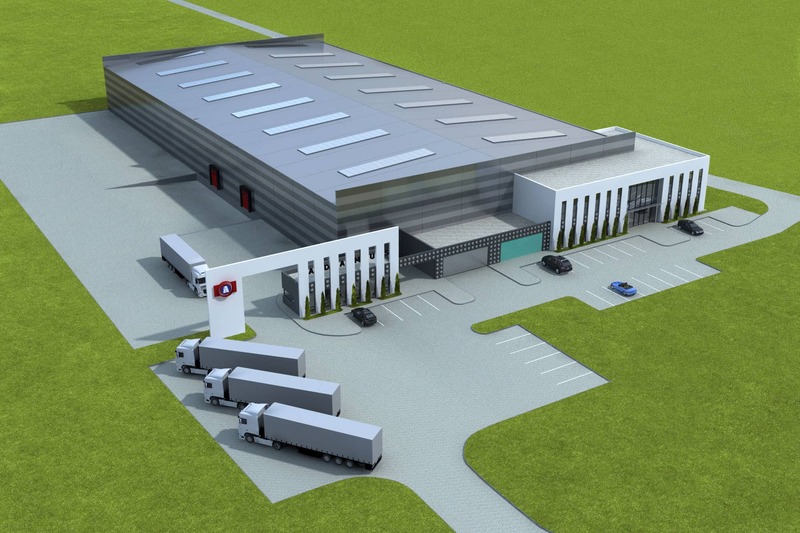 This site forms a part of a larger area designated to provide an economic boost, an industrial zone close to Bielsko-Biała. The size and the neutral form of the facility gently harmonises with the landscape of the Żywiec Basin. 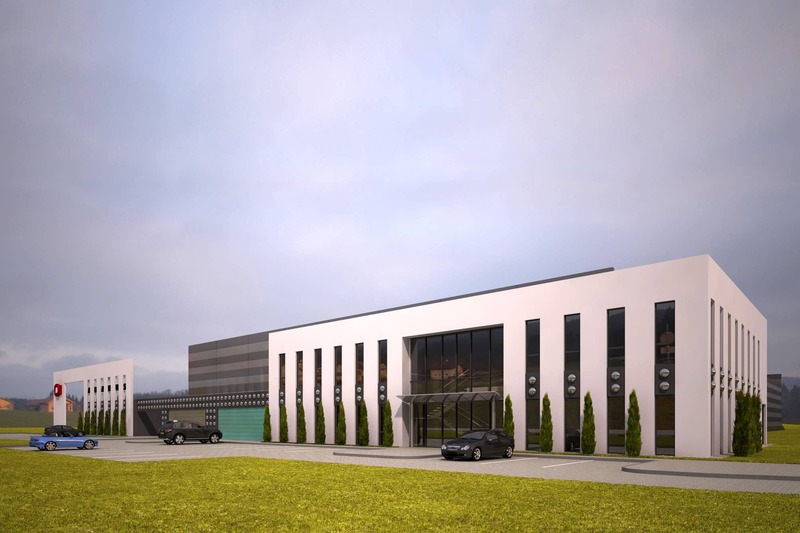 The complex of a production and office building was one of the first industrial projects in the newly developed zone. Consequently, an assumption was made that the solutions selected – which met the requirements of the local spatial development plan and also the principles of the contemporary architectural language – will make the project a reference point for future industrial investments around it. The design includes the production building and the office building connected by its roof with the porter’s lodge. The office and employee welfare part will provide a support function to the production floor and house the welfare facilities for the production staff as well as the offices for company management and office personnel. 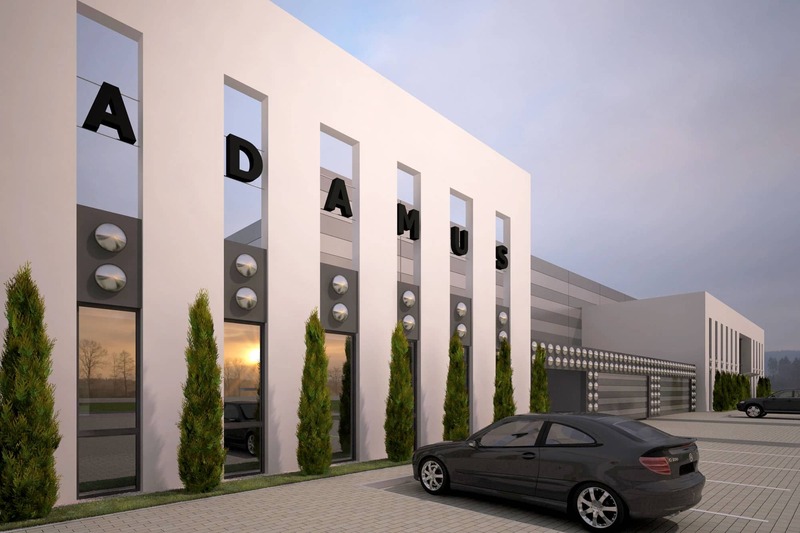 The building is also to fulfil the stately function, as the main offices of the ADAMUS company. The office building is designed as a two-storey one. Reinforced concrete columns and masonry load carrying walls are planned as the primary load-bearing components of the system. The production building was designed with two aisles and a steel frame structure. Its cladding is designed of sandwich panels with polyurethane foam cores. The production building will be covered by a gable roof with a gentle 5% slope of the roof planes. 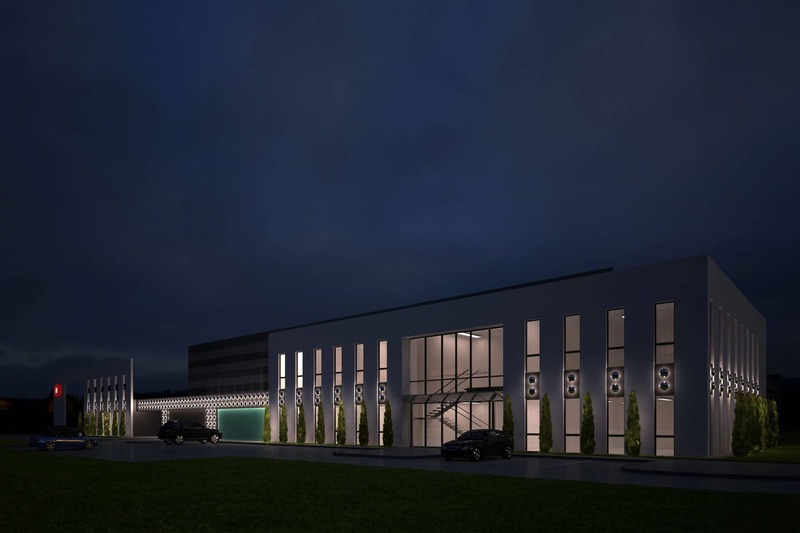 The office building elevation is finished in white plaster, interspersed by bands of windows with graphite bands between them, with lighting fixtures spaced according to the module. Façade lamps are designed to be made using steel tank ends – one of the primary products in the manufacturing a range of the Investor. The horizontal form of the production building emphasised by the horizontal bands of sandwich panels in two contrasting shades is confronted with the vertical rhythm of divisions on the elevation of the office building. The entrance zone is emphasised by a stately glazed lobby. The main, stately façade of the industrial building faces south. Its vertical divisions emphasising its stately character attract the attention of drivers passing the facility, providing some respite from the monotony of the surroundings. In addition, as the production building and the office block are located right next to the vehicle entry into the zone at its border, this façade becomes the outside wall of the entire industrial zone.